Point Man Antelope Valley (PMAV) is a 501 (c) (3) non-profit organization (ID# 95-4296967) and the guardian of The Mobile Vietnam Memorial Wall – AV Wall. 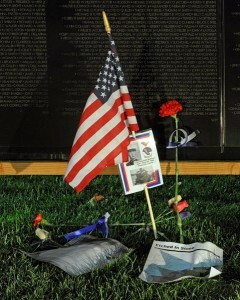 Donations are used to continue PMAV ministries and to maintain, store, and travel The Wall. We appreciate the generosity of our donors which allows us to continue assisting veterans and to educate, inspire, and heal everyone who visits this memorial. OR donate immediately by clicking the button below. You are not required to have a PayPal account.